Take this quiz to find out how much you love gossip, compared to other people. The result may surprise you! Gossip, whether it's mindless or serious, is a part of human nature. It can also strengthen or break up relationships and cause serious harm to the people we love. 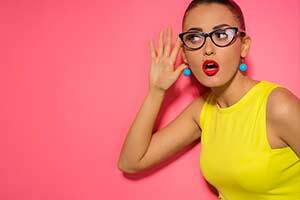 Are you a gossiper? Find out now!